Image: 3alexd/Getty Images, Angus McComiskey/Getty Images. Design: Ashley Britton/SheKnows. The success of Matthew Weiner’s new TV series The Romanoffs, about a modern family who believes they are descendants of the actual Romanovs, shouldn’t come as a surprise. And not just because it’s Weiner’s much-anticipated follow-up to the cultural phenomenon that was Mad Men. TV audiences are becoming increasingly fascinated by historical fiction (see: our continuing obsession with the Kennedys). Several prime examples spring to mind: Downton Abbey, The Tudors, The Borgias, Reign, The Crown, Versailles… and now, The Romanoffs. These series spring up around facts rooted in the real lives of some of history’s most fascinating families — families whose lives are, in many ways, stranger than fiction. Sure, the studios editorialize a bit. But if you do a bit of digging, you’ll find that the storylines on these shows are often lifted straight from the pages of history books. Which makes us wonder: What other historical families would make good fodder for a television series? Who in history has the kind of drama and intrigue that would make for a scintillating show? Suffice it to say, there are many. We’ve narrowed it down to seven, though. Hey, Weiner, consider your next project found. 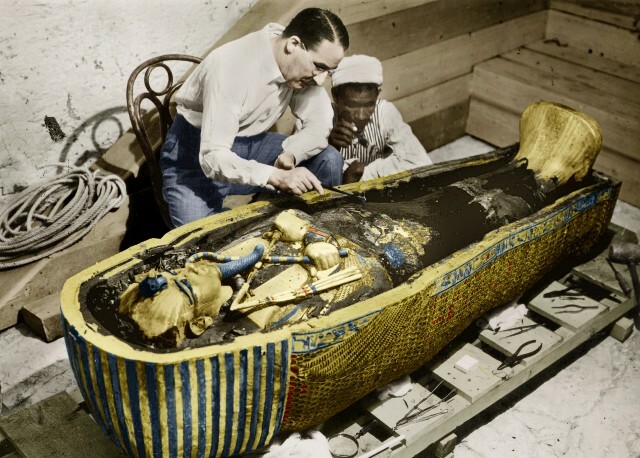 You’ve undoubtedly heard the names of some of history’s most intriguing members of the 18th Egyptian dynasty: Tutankhamen, Akhenaten and Nefertiti, Hatshepsut and the four pharaohs by the name of Thutmose. What you probably haven’t heard, though, is the complex relationship between Hatshepsut — arguably one of the greatest female rulers in history — and her own flesh and blood. Hatshepsut was the half-sister of Thutmose II, who became her husband. While Thutmose II didn’t do anything terribly notable during his reign, Egypt saw a period of prosperity under Hatshepsut, who assumed power after his death. Commercial expansion, a building program and a major trading expedition were all attributed to her. 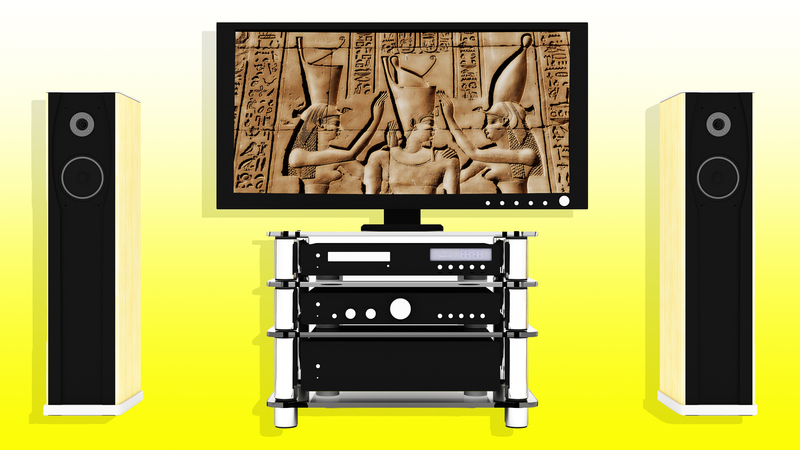 However, when their son, Thutmose III, became sole monarch, he essentially tried to erase all evidence of his mother’s reign. What gives? We’re not sure, but it sure would be fun to see it speculated in TV form. You haven’t lived until you’ve heard about the House of Habsburg. Around the 12th century, this family became a house of significance in Europe. Just a few of the obstacles they overcame during their six-century rule include family squabbles, insanity and, yep, inbreeding to supply all of the formally elected Holy Roman Emperors between 1452 and 1740. 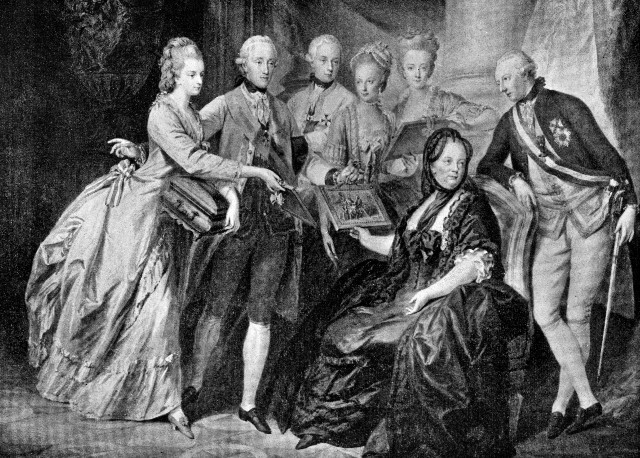 They were big fans of dynastic marriages, too — in fact, their motto was “Let others wage wars, but you, happy Austria, shall marry.” Can you imagine the storylines one could extract from a royal house with that sort of history? They basically write themselves. When most people think of Genghis Khan, they think of the man who built an empire. This Mongolian leader created the Mongol Empire, which became the largest in the world, basically by forcefully taking down tribes throughout Northeast Asia. He was only 20 when he began building the army that would ultimately rule a substantial portion of Asia, and the dynasty that army spawned lasted long after his own death. 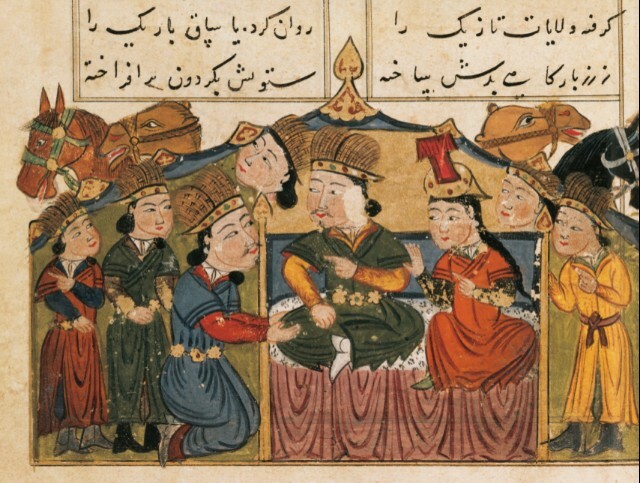 In addition to his wife and primary life partner, Börte, Khan reportedly had numerous secondary life companions who gave birth to his offspring. Before he died, though, he appointed Ogedei Khan, one of his sons with Börte, as his successor and split his empire among his sons and grandsons. It would be interesting to explore the keepers of Khan’s legacy after his death, while also flashing back into the life of the ruler himself. Also intriguing? Rumor has it that Khan was born with a blood clot in his hand, which reportedly indicates in Mongol culture that his destiny was to lead his people. Sounds like there’s a story there, right? Image: VCG Wilson/Corbis via Getty Images. It goes without saying that you’ve probably read a tome or two by the Brontë sisters: Charlotte, Emily and Anne. Perhaps it was Jane Eyre or Wuthering Heights. Let’s be real — if you’re a bookworm, it was definitely both. But have you ever stopped to wonder about the women behind these classic works? 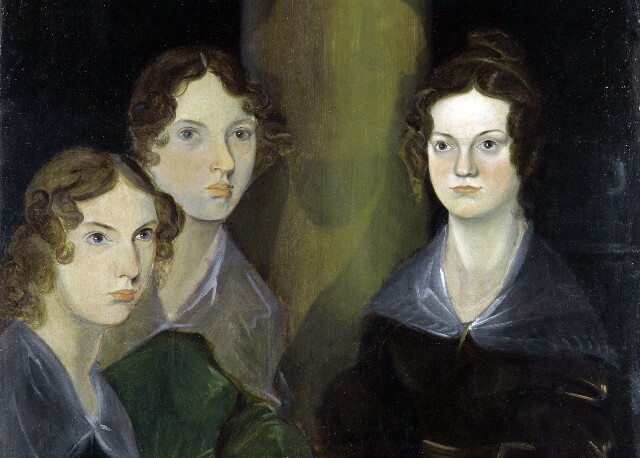 For starters, they aren’t the only Brontë siblings. In addition to two other sisters who died in childhood, they had a brother, Branwell, who was quite a talented artist but plagued by addiction. The sisters started writing at an early age to pass the time, as they were often left home alone. And when they first began writing, they all published under male pseudonyms for fear of persecution. You try telling us that that's not the kind of stuff that would be perfect for a TV show! Initially springing from the marriage of prominent Indian politician and journalist Feroze Gandhi and his wife, Indira Gandhi (née Nehru), this prominent family has dominated the Indian National Congress since India gained independence from the British empire in 1947. Three members of the family — Indira's father, Jawaharlal Nehru, Indira herself and her son, Rajiv Gandhi (with first husband Feroze) — served as Prime Minister of India, in that order. In a tragic twist, both Indira and Rajiv were assassinated in 1984 and 1981, respectively. 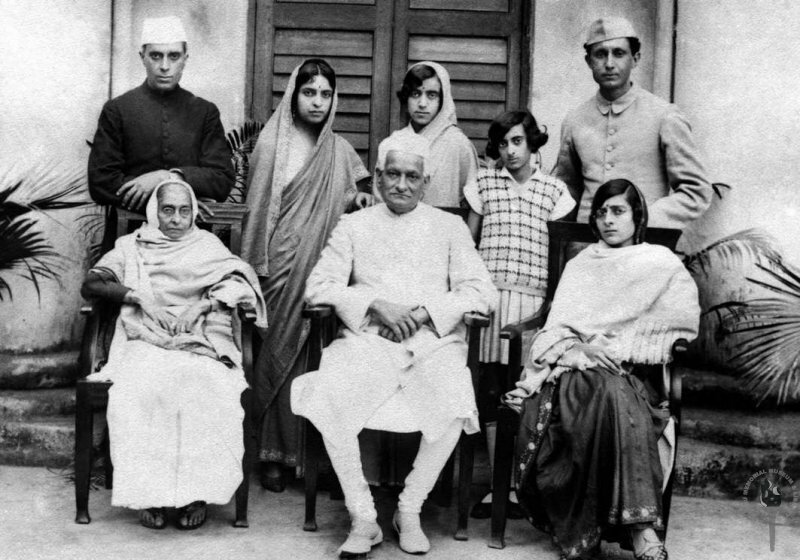 Dubbed India’s “first family,” you can bet this family tree is filled with the stuff good TV is made of, including everything from controversial politicos to environmentalists to adventurers. Rajiv’s son, Rahul, is the youngest member of the family currently active in Indian politics, and he recently made headlines for criticizing the environment minister over the killing of a female tiger named Avni. Image: Wikimedia Commons, Fair Use/Public Domain. 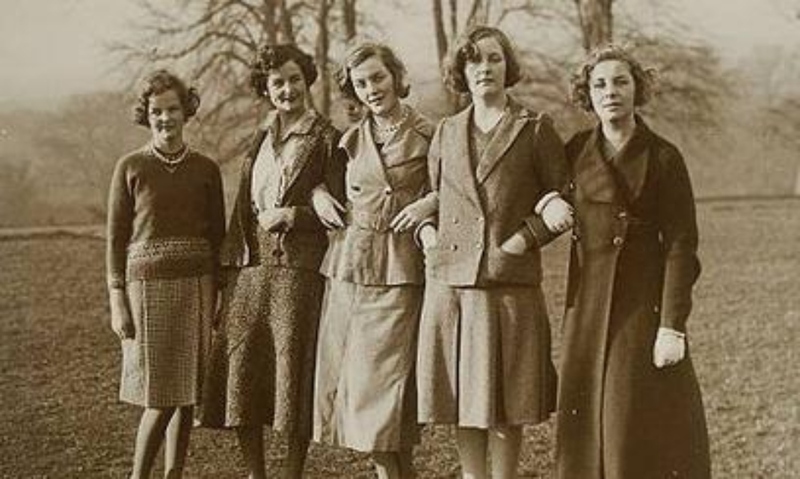 Let’s start with the obvious — TV could use more female-led dramas, and the Mitford sisters certainly fit the bill. There were six born to Lord and Lady Redesdale: Nancy, Pamela, Diana, Unity, Jessica and Deborah. Their father encouraged them to think for themselves, while their mother tried to ground them in common sense. But there was no denying that these women were eccentric, openly believing in ghosts and other superstitions. And, true to form, they all went onto to live fascinating lives. Nancy was a best-selling author. Diana married the Guinness brewing heir, had an open affair with a fascist, spent time in prison and was part of Adolf Hitler’s inner circle, as was Unity. Jessica became a trailblazing Communist journalist and, later, a civil rights activist, author and even pop star. Deborah cavorted with American presidential family the Kennedys and was related by marriage to Fred Astaire’s sister, Adele. Pamela was one of the first women to be on a transatlantic passenger flight. Image: Anonymous via www.dinersclubmagazine.pl/Public Domain. Floods, famine, peasant revolts, plagues — Zhu Yuanzhang’s ascension to power was practically biblical in proportion. But the founder of the fabled Ming dynasty did, in fact, conquer those things when he became the leader of an army that conquered China. 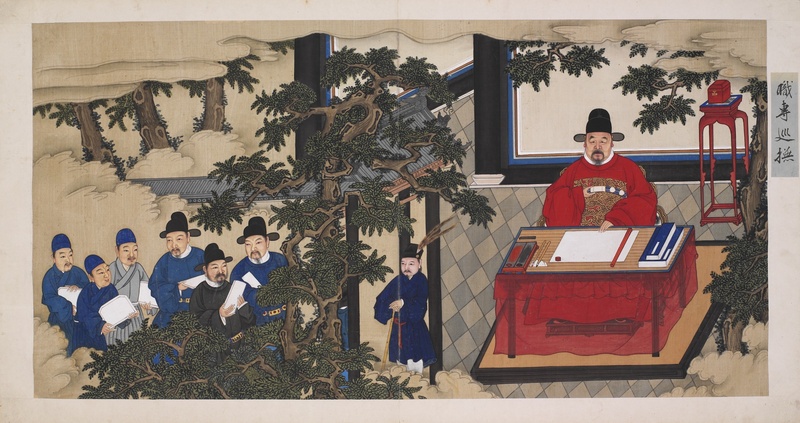 After Yuanzhang’s death, things only got more dramatic when his grandson, Zhu Yunwen, assumed the throne and became embroiled in a political battle with his uncle, Zhu Di. The militant Zhu Di eventually staged a coup, killing Yunwen and his family to take over the throne. The Ming dynasty is widely regarded as one of the greatest eras in Chinese civilization, but also the dynasty in which signs of trouble for the country became more evident.